In a little under five years time, Ireland will roll out the red commemoration carpets for a year long celebration to mark the centenary of the Irish Free State. In the decades preceding the independent state, unionist politicians and their constituents vigorously, and even militantly, opposed any form of self-determination for Ireland as they believed Home Rule under a Catholic majority would mean Rome rule. The fears of those unionists were realised. The Free State, like the British state before it, inadequately supervised Catholic institutions tasked with caring for sections of Irish society and thereby put at risk the very children of the nation that independence was destined to cherish. The Free State's successors were equally culpable of neglect as each fed its own citizens to an ultra conservative, practically unregulated, system of 250 Church-run industrial schools, reformatories, orphanages, hostels and homes from the 1920s up until the 1990s. Since the 1990s, criminal cases and inquiries have established that thousands of children were abused by hundreds of priests and several Catholic religious orders were found to have participated in or concealed child abuse. 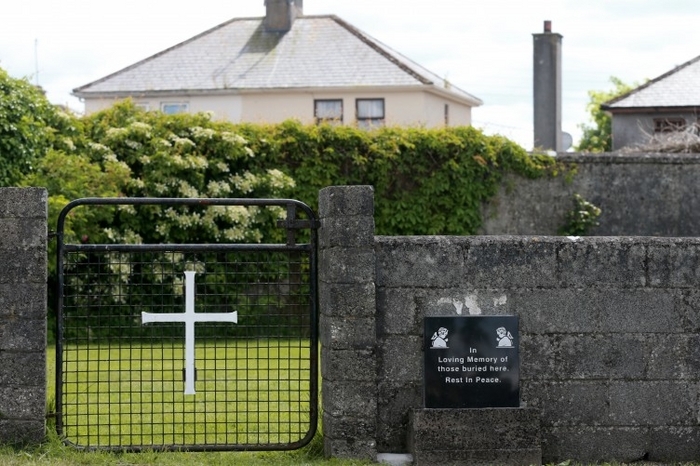 The utterly disturbing find of 796 human remains on the grounds of the mother and baby home run by the Bon Secours Sisters in Tuam raises questions of that order of nuns and the State, which surely require answering through a Garda investigation. Questions too need to be asked in Mayo. In the 1920s, unmarried mothers and their babies were housed in the Mayo County Home in Castlebar. They were isolated from other 'inmates' and occupied with work for little reward. In 1926, debate at a sitting of the Poor Law Commission turned to congestion at the County Home and how the inmate numbers could be reduced. It was suggested that the 41 unmarried mothers could be removed to another institution. Men like Dr PD Daly immediately fought this suggestion as replacing the cheap labour supplied by the unmarried mothers with extra staff members would cost the ratepayers. Instead, the removal of 51 children and 12 unmarried mothers from the County Home was put forward. Management at the County Home were aware of the stern, if not hostile, reputation of some institutions. On the reporting of two troublesome unmarried mothers to a Mayo County Board of Health meeting by the matron of the County Home, the meeting decided to experiment and send one of them to the Magdalene Home in Galway to teach her discipline. Should she refuse, she was to be prosecuted. A Poor Law Commission's report of 1927 stated that County Homes were unsuitable for unmarried mothers and babies. The report noted that the provision of one central County Home in Mayo was a cause of much hardship, possibly a reference to the overcrowding. In a system dominated by value for ratepayers' money, the County Home in Castlebar set about choosing the cheapest venue available for its unmarried mothers and babies. Further pressure to relieve overcrowding came on the County Board of Health in 1930 when the Government's Condition of County Institutions Inspectors' Report criticised the Mayo authority for housing its 20 unmarried mothers and 20 babies together with female 'idiots' and aged women. The Castlebar buildings were noted as being unsanitary, cold, bare and comfortless. In order to take pressure off the County Home and to make financial savings, the Mayo County Board of Health were informed that the inspectors had approached the nuns at the County Nursery in Tuam and they were satisfied to take in the unmarried mothers and children from County Mayo. In September 1930, the County Board of Health met to discuss the Tuam option. Alternative Mayo based locations (Swinford, Ballina and even derelict buildings ) were thrown about at the meeting as relocation venues for the women and children. While the board admitted the inspectors' report on the condition of the County Home was not encouraging, they decided that the cost of £1 a week for maintaining a mother and child meant the Bon Secours home in Tuam would make the best saving for the authority. As the board's chairman P Higgins advised on relocation plans at one meeting, 'It will all be a question of finance'. It was Higgins who later remarked of 'imbeciles' and unmarried mothers, that 'either class of inmates are not desirable here [Mayo County Home]'. Higgins' colleague, JT Ruane agreed, 'The presence of unmarried mothers with other patients is not desirable'. As discussions on moving Mayo's problem out of the county were drawing to a close, it was noted that there were 14 unmarried mothers (or 'abnormals' as one Mayo paper referred to the women ) and 23 children who could be transferred to Tuam. In March 1931, the secretaries of the Mayo County Board of Health and Mayo County Council met with Galway officials and agreed satisfactory terms for the transfer of all unmarried mothers and children from the County Home in Castlebar to the Bon Secours nuns in Tuam by 21 April that year. Under the terms six mothers and 13 children had been transferred in early April. Expectant mothers would remain in the County Home until they had their babies, after which time they would be sent to Tuam. Unmarried mothers and babies lived and quite possibly died at the Mayo County Home before the arrangement with Tuam was acted on. A cemetery had existed at the back of the County Home, once the Castlebar workhouse, since the 1840s and burials took place there until the 1950s. No obvious signs of the cemetery exist today.